Farrar, Straus and Giroux (BYR), 9780374300197, 40pp. The perfect thing to do on a chilly day is to make a blanket cave. But, of course, a comfy cave never stays empty for too long...What's a boy to do when a bear takes over his cave? Try to distract him with a trail of blueberries? Some honey? A nice long back scratch? 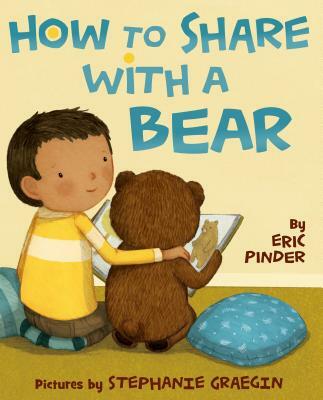 How to Share with a Bear is a story about how although it's not always easy, sharing with a sibling can make things even more fun!